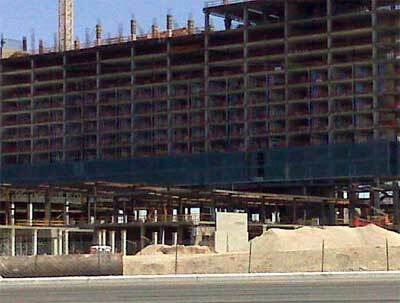 M Resort Las Vegas is expected to open for business on March 1, 2009. The local $1 billion Las Vegas hotel casino on 93 acres of land will have 390 rooms, nine restaurants, 90,000 square foot casino, 2.3 acres of luxurious pool, 20,000 square foot spa and 60,000 square feet of meeting areas. M Resort Las Vegas hotel on the Strip expects to open early in March, 2009. Local real estate developer, Anthony Marnell III, caters to locals with his version of a place visitors feel at home when they step through the door. Will he be able to carve out his niche in this heavily competitive casino market? Because construction has been ahead of schedule at M Resort, millions of dollars in savings will be used in other aspects of the hotel casino. Hopefully locals will embrace the upgrades including 180 degree views of the valley from the rooftop restaurant and a wine cellar controlled with technology. M Resort Las Vegas announced plans for 1 million square foot retail mall this week in the mixed use real estate project. Anthony Marnell III envisioned his $1 billion M Resort and Las Vegas NV hotel similar to the outlying Red Rock Resort in Summerlin and Green Valley Ranch Resort in Henderson, Nevada with one exception, a large shopping component. 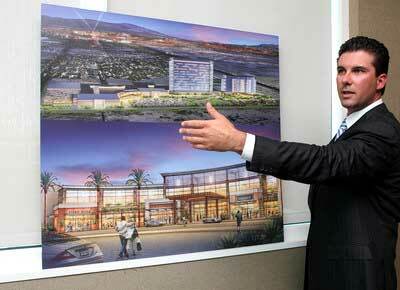 The M Resort Las Vegas Casino and Spa master plan has been unveiled. The proposed $1 billion Las Vegas NV hotel real estate project includes 390 suites and rooms in a 11 story resort. Update 5/21/08, M Resort shopping mall with 1 million square feet announced. The commercial real estate project has an expected completion date of spring 2009. It is located 10 miles south on the Strip and St. Rose Parkway and encompasses 80 acres of land. 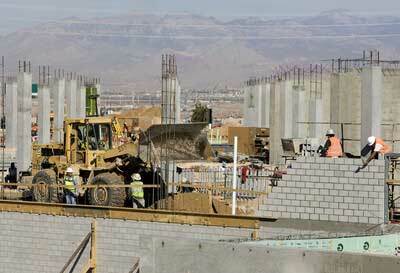 It is expected to be the largest resort city within the Las Vegas City limits. M Resort Las Vegas employment job search link.